Former heavyweight champion Wladimir Klitschko has already said a number of times ahead of his April fight with Anthony Joshua how age is not, and will not be, a factor. Although he will be 41 come the April 29 fight for the IBF and WBA titles, Klitschko says this is merely a number and nothing more. And, in a more recent interview with Eirsport, Wladimir says that he actually got faster as a fighter with age. Klitschko also says he has “ a lot of weapons” at his disposal and he will decide on the night which one he uses against the unbeaten Joshua. The big question, or one of them surrounding this fascinating clash of ages, is will Klitschko either slow down or appear slow in comparison to the man 14 years his junior? Klitschko says that until now he has seen progress as he has aged, but his critics point to the poor performance he put on in his last fight, when he was out-pointed by Tyson Fury. 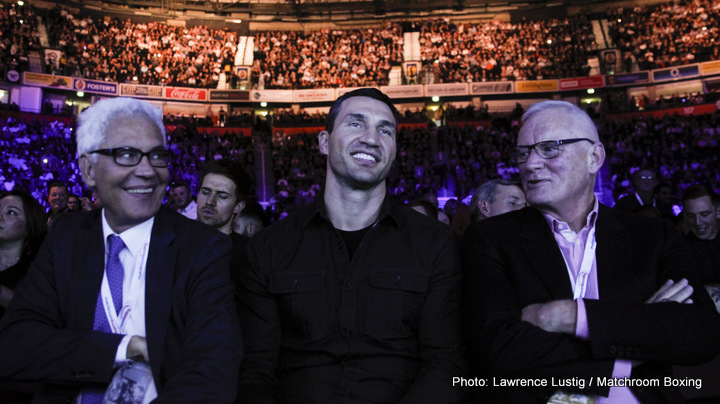 Since then Klitschko might have looked great in the gym and in sparring, but until he actually fights again no-one knows if he still has it or not. Will Klitschko, 64-4(53) let his hands go against Joshua? He certainly didn’t against Fury, something Wladimir concedes himself. By the time of the first bell against AJ, Klitschko will not have won a fight in slightly over two years, and he is sure to be carrying a fair amount of rust having not boxed for 17 months. Can Joshua remind Klitschko of his age, or will the experience, the knowledge and the vast weaponry of Klitschko prove too much for the 18-0 fighter who has yet to go beyond the seventh round? The experts cannot decide, nor can the bookmakers. This one is about as 50-50 as it gets in boxing.